Can you feel it? There’s a slow and gradual shift happening in our collective consciousness as of late. It started slowly and softly on the fringes, quietly standing at odds with our traditional spending habits. But now it’s steadily gathering strength and becoming a mainstream wave. A wave that’s being influenced, primarily, by the millennial generation. This evolution of the consumer mindset is seismically changing the landscape of many of our industries and their usual market strategies. Historically strong markets like the retail industry are particularly suffering, while in contrast, the leisure industry is booming because of it. I’m talking about steady rise of the Experience Economy. Or in other words, the growing trend of consumers being far more likely to spend their disposable income on doing things, rather than buying things. If you’ve been paying close attention, you’ll have noticed this trend slowly encroaching onto our high streets. UK retail sales have been falling year on year as fewer and fewer of us are making the weekly trip to the high street for our leisure time. Footfall numbers are declining, there are more and more store closures, and when you do encounter a long line in a high street store, often it’s full of people collecting or returning their online orders. Of course, internet shopping has had a significant impact on the traditional retail industry, but it’s not the only factor. The average weekly spend of the British consumer on non-essential items such as clothing has been falling gradually in recent years. There are potentially some serious economic factors contributing this drop, such as wages not consistently rising with inflation and Brexit concerns… However, if low disposable income were the only contributing factor, we wouldn’t see such bold growth in the leisure industry. In fact, leisure and entertainment are growing nearly twice as fast as the retail market, and in 2017 leisure attracted more than one and a half times the spending as retail did. That means we are actively choosing to spend our money elsewhere. We’re spending less and less on purchases that clutter our lives and our homes. As Steve Howard, an Ikea executive once put it: “In the west, we have probably hit peak stuff”. We’re spending our pennies on our leisure time and entertainment instead. We’re witnessing a mass behavioural shift from product consumption to experience consumption, thanks to a heady mix of internet culture and the rise of access over ownership. To put it simply… our priorities are changing, and the leisure industry is leading the charge. It’s undeniable that the internet is bolstering the leisure industry while battering others like the ‘bricks and mortar’ side of retail industry. Where online shopping is steadily replacing the high street’s place in our lives with a convenient and comfortable alternative; the leisure industry with its day trips, theme parks and live events simply cannot be replaced by online offerings. In fact, the smart leisure brands are using online interaction to enhance their current offerings through streamlined booking systems and pre-event hype. They’re even boosting sales by encouraging their customers to share their experiences with others socially, contributing to word of mouth and brand recognition. The other hammer blow to the traditional retail model is the emergence of access over ownership. The everyday consumer is becoming more and more comfortable with paying for access to services and assets rather than the old keeping up with the Joneses retail model. Millenials are far more likely to rent their home, rather than be homeowners. Netflix, amazon prime, and other similar streaming services are slowly relegating dvds and blu rays to the bargain bin. And car sharing and leasing are at an all-time high. In today’s world ownership just doesn’t seem to matter as much to today’s consumer… but why? One likely contributing factor? You don’t have to own something to share it on social media. You might scoff and roll your eyes, but the power of social media and the way it shapes and influences our lives can’t be denied. It’s the evolution of the baby boomers aspirational mindset; now millennials want to keep up with the @joneses …or the Kardashians. Experience-based spending is rising… and so are the numbers of social posts telling the world about it afterwards. Welcome to competitive socialising. We’ve all scrolled through our timelines, feeds and stories and encountered the humble brag in all its various forms. Your cousin’s hot dog legs on a beach in the Seychelles. Your old flatmate is throwing some serious shapes at this year’s hottest music festival. Your coworker is sharing images of herself smiling through her ski goggles, on a chair lift in Morzine. Seems innocent enough, but whether we admit it or not, this type of sharing is often a way of competing for our place in the social hierarchy and getting those ever so addictive likes. Sharing images of your newly purchased designer handbag, expensive watch or limited edition trainers is seen as crass… but showing off your holiday or event pictures is seen as a completely socially acceptable way to signify your status. And this is why the leisure industry is so perfectly placed to take full advantage of this emerging trend with their fashionable check-in spots, instagramable experiences and hashtagable events. Now not every retail space or brand can magically transform into all singing, all dancing theme park or attraction, and nor should they! What they should be doing is learning from these giants of leisure. Guest experience doesn’t just have to apply to holiday destinations and live events; it can be used to great effect in any consumer-facing business. High street shops are creating dynamic and interactive spaces where customers can move seamlessly between online and offline browsing. Theatres and recreation spots are creating fully immersive, Instagram ready events with all the trimmings. Even cafes and pubs are embracing the experiential trend. No longer satisfied with customers stopping for a quick drink, they now encourage people to interact with their environment and even play games. These changes all create a memorable experience and encourage longer and more profitable guest visits. A whole host of combined leisure experiences are appearing, and all of them are harnessing our new found desire to experience something unique and socialise while we purchase. I’d be remiss if I didn’t highlight our very own client, Adventure Leisure, who are currently smashing it in the immersive guest experience sector with their adventure golf venues. So you may not be ready or able to create a themed environment or add a ping-pong table to your offerings. So let’s look for inspiration in another key area… the build-up. A significant chunk of a consumers enjoyment comes from their anticipation of the event or purchase, but too many brands and businesses forget just how important this stage is! Apple is a perfect example of how to use this guest experience tactic to liven up a non-leisure based business. They don’t merely ship a brand new product to stores and wait for customers to discover the new product on their own. No, They create an air of anticipation and actively stoke the hype machine for their new release. Think of Apple’s keynote presentations, their sizzle reels, their teaser sneak peeks… They then harness the collective excitement and chatter on social media, often turning their customers into brand promoters. And don’t forget the Launch events themselves where consumers wait in line for hours, if not days, to grab the bragging rights that is one of the first to get your hands on the newest Apple product enables. This is the power of the build-up. The answer is simple: FOMO! The Oxford dictionary defines ‘FOMO” as the Fear of Missing Out. An anxiety that some exciting event may be taking place elsewhere, often triggered by seeing posts on social media. A recent Eventbrite survey found nearly 7 in 10 millennials feel that they’ve experienced FOMO and that this phenomenon is driving millennials’ apatite for the experiential. Adding an air of exclusivity and urgency is another sure fire way to harness FOMO to great effect. Let’s be honest, people are serial procrastinators, and often pretty forgetful which can lead to slumps in interest, traction and eventually, profits. Injecting a sense of urgency triggers that FOMO sensation and pushes people to act quickly and impulse spending. 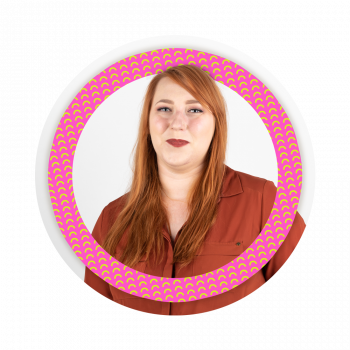 Whether it’s a pop-up event, a flash sale or a limited edition product; adding that ‘ticking clock’ element can use FOMO to provide an impressive boost. 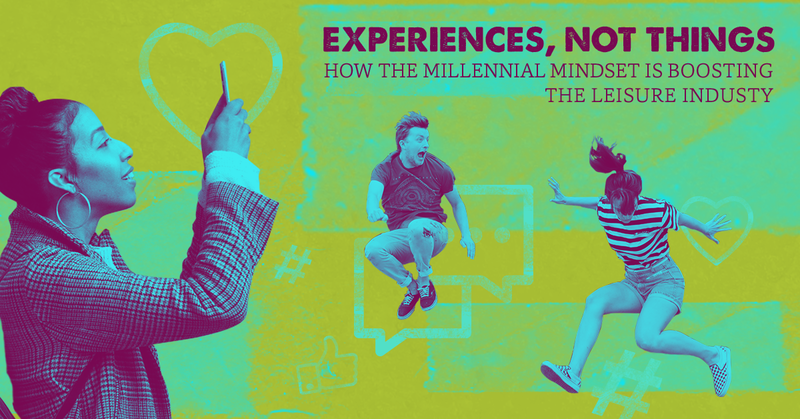 The millennial mindset and the demand for experience-based leisure aren’t going away anytime soon, and as a result, the leisure industry is projected to continue its growth trajectory. Brands across all consumer-facing sectors should be reaching out to this new culture and focusing their energy on discovering how to add experiential value to their offerings. They should also be and their social media channels, adding a sense of urgency and harnessing the FOMO phenomenon. Luckily, you’re in the right place. That’s what we here at Katapult do best. My role is to be creative, reliable and constantly curious. To create brilliant, immersive and innovative guest experiences for our clients while always keeping their goals in mind. I work alongside our fantastic team to help create truly world-class work at the agency.